like this kitten to give them a better chance at adoption. difference in the animal's adoption. For my Sunday Cat of the Week post, I go online and look at photos of homeless kitties seeking forever homes. It is a difficult choice--I want them ALL to find homes--but I pick one cat to highlight on both my blog and my book's Facebook page. I am thrilled that a number of the featured cats are now in loving homes. My eye is drawn to photos of adoptable cats that are up close and personal, where the animal's personality shines through. I notice when I post a good headshot of a rescue cat on my Facebook page, it receives more attention and more shares from followers. Social media exposure can give the cat a better chance of being adopted. Sadly however, I often see blurry pictures on rescue sites that a well-meaning animal lover snapped. Sometimes a cat stares at me from behind the bars of its cage with glowing eyes and a scowl. The lighting is bad and the cat look ill. Or the photographer has chopped off the cat's ears with an amateurish headshot. Oh dear. How will these cats get adopted if a poor photo is their only chance? And I know rescues work so hard to place animals, doing miraculous things with little money. The good news as reported by msnbc. com in "To Snag Homes, Shelter Pets Get Glam Makeovers," is that some professional photographers are using their talents to help rescue organizations place pets. The photographers understand how to showcase a pet's true personality. The two photographers featured here also provide suggestions on how volunteers and rescue organizations can use lighting as well as some tricks-of-the-trade to take better shots of their 4-legged subjects. Hope was a rescue that Teresa Berg photographed. 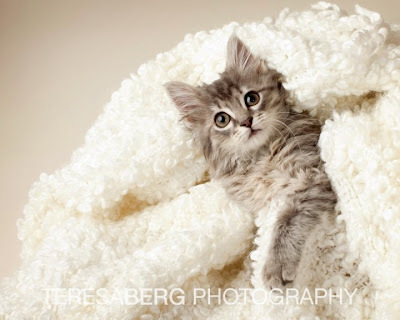 Teresa Berg, a Dallas-based photographer, realized she could offer rescues her creative photography skills to help save the lives of homeless animals. She works with local animal shelters including the Dallas - Fort Worth Dachshund Rescue Foundation. Petfinder reported that Berg's photos more than doubled the rescue's adoption rate! 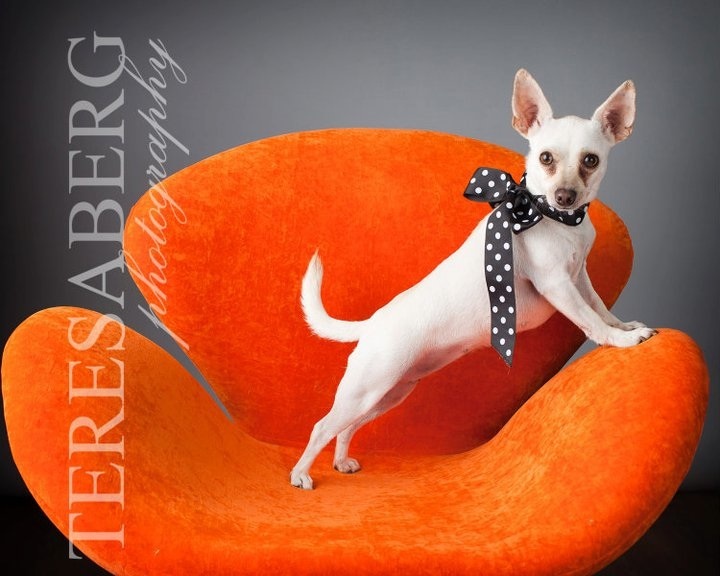 You can see more of her photos at "Shelter Animals Get Glam." She recently wrote a guidebook with Bev Hollis and Barbara Breitsameter for professionals shooting pets entitled Dog Shots. It includes thirty of their favorite shots with setup and exposure information. Seth Casteel, believes every pet deserves a loving home. The professional photographer, based in Los Angeles and Chicago, donates his time and his money to help rescue animals across the country. He established Second Chance Photos with a mission to help shelters and volunteers take the best possible photographs of rescues to give them a better chance of finding a home. Here are some of Casteel's downloadable tips for shelters to take purrfect pictures of rescue animals. Plus Petfinder also has a number of articles on "Photographing Adoptable Pets." Check out the video and see the "Before" and "After" shots of the many rescues that Casteel has photographed and brought out their best. You might also be interested in "Creative Photographer Captures Personality of Your Pet." Enjoyed this post. I know what a difference it can make as I see that at our local shelter. We now thankfully have a good photographer. This is a cause so dear to my heart. I am impressed that you have found this great way to help animals. difference in the animal's adoption ! Lots of shelters don't realize that, some of them took photo of the kitties look so sad. My opinion, should make them look best ! because Kitties from shelter have to beat the kitties from the shop. I love this post! Every shelter pet deserves a makeover - it can make all the difference. Bravo!! What a wonderful story! These photos do make a difference...she sure brings up their personality in the best way! This is just such a great post and oh so true. We need to try to get better pictures of the shelter animals. I know myself, when I am looking for an animal to post about on my blog that needs a home, I sure look for the cute picture and some shelters do have cute pictures. Hope some more professional photographers get interested in doing this. Thanks for this good info. Thanks so much for sharing this. Pets and photography are the loves of my life.